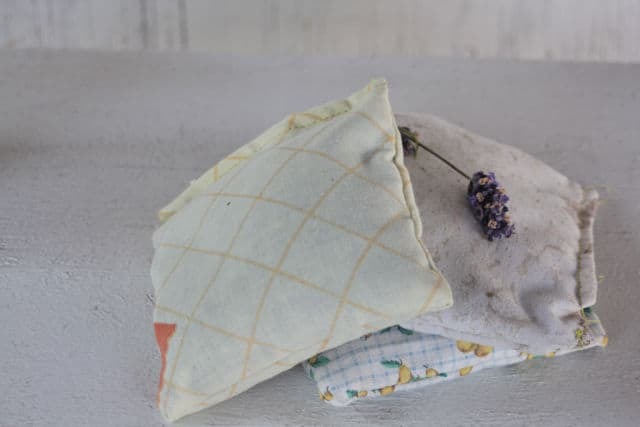 Making herbal dream pillows has been a part of my crafty life for a very long time. They started as a very rudimentary exploration of aromatherapy. I knew lavender smelled good and was good for relaxation. It was that simple notion that started me down a crafty and herbal path. As I've learned more about herbs and their various benefits not just their fragrance, I've incorporated that knowledge and experience into my crafting. 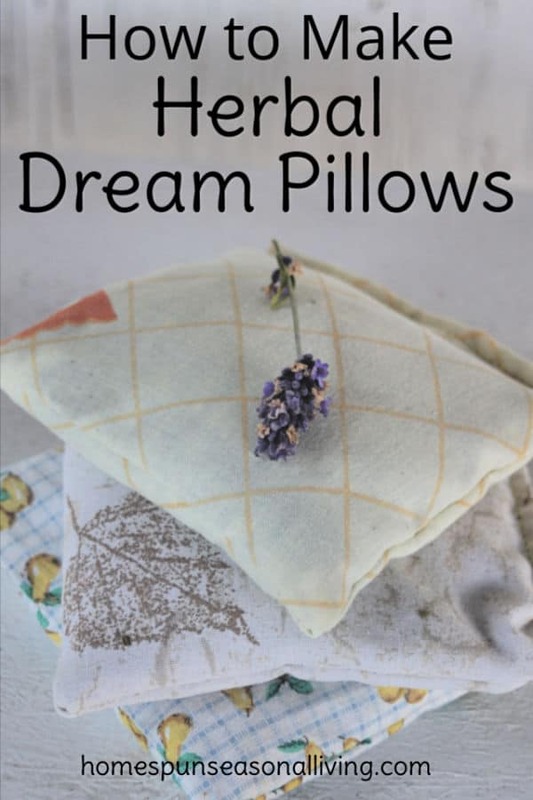 Making herbal dream pillows is an easy and fun way to not only encourage restful sleep and vivid dreaming, but also a way to share your homegrown, dried herbs with those you love in beautiful packages. Place two squares of fabric with right sides together. Sew three edges together, Using about a 3/8″ seam allowance. Don't stress about the seam allowance, a little more or less isn't going to hurt anything. Sew the fourth edge together, but don't finish it, leave about 2″ unsewn and open. 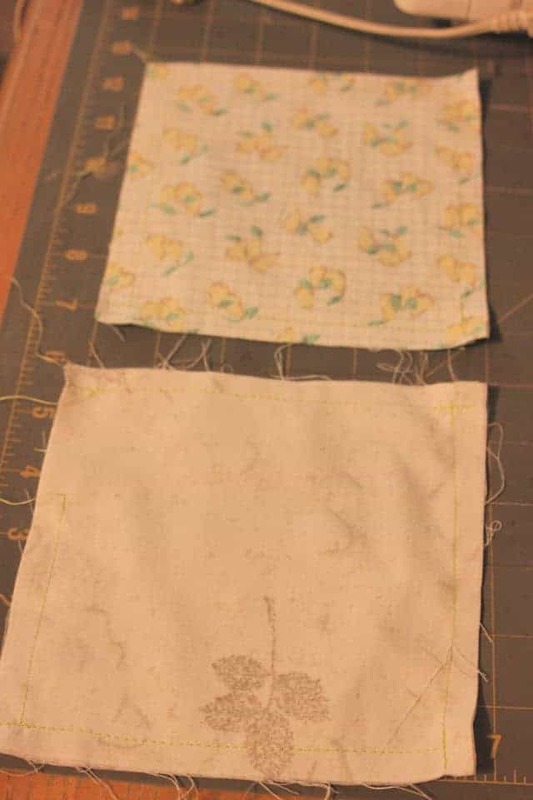 You can do this sewing with a machine or by hand (learn how to sew a variety of hand stitches here). Using that opening, turn the pillow case right-side out. Use a chop stick, knitting needle, or crochet hook to push the corners out. 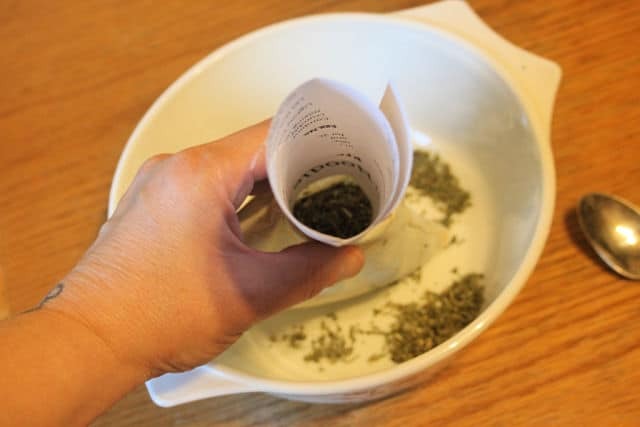 Loosely fill the pillow with your desired herb or herb combination – don't overfill, it makes it very difficult to sew up that opening when it's overflowing. Do this filling over a bowl to easy collect any spillage. A funnel makes filling quick and easy. Simply use a rolled up piece of scratch paper. 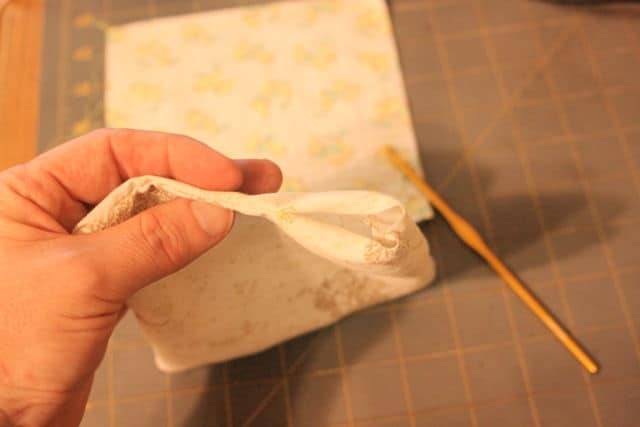 Tuck the raw edges of your opening inside the pillow and sew that opening closed. Clip off the strings and be sure to remove any herbs that might be sticking to the outside. Your pillow is now ready for use or giving. If you're giving it away, you might want to tell the recipient which herbs are inside and why you picked those. Inspire meditative dreams with any of these singles or combined Cedar, Sage, and Mugwort. Get restful sleep by using Chamomile, Hops, Lavender, Rose, and Sweet Annie either by themselves or in combinations. Clear stuffed sinuses with Eucalyptus and Rosemary. Find headache relief with Peppermint and Lavender. What a great idea! I’m pinning this so I can make one! I so happy I found this.i’m going to make some.what a great gift to give someone.thank you so much.my neighbor lost her husband.i’m going to make a few for her.a nice size. I’m going to be growing bunches of herbs this year and this will make a lovely gift at Christmas time! Thanks for the idea! I love these!!! Making some for my hubby today! thanks for sharing on Simple Saturday! How long the scents last will vary based on the herbs and quality. You can always add a few drops of essential oils to the pillows to help refresh when the scent when it’s gone. I have a tendency to just toss the entire thing in the compost heap when it’s used up. Thanks! I make rice bags with lavender flowers…saw this and want to try this. Do you use only lavender flowers, or also the leaves? Rose petals only or the leaves as well? Looking forward to trying this! For the lavender, the flowers and leaves work well, as both tend to have heavy scents. For roses, the petals are usually the most fragrant so I’d go with that. Sorry I suppose some will think this is a silly question but do you sleep on it or do you put it next to your pillow or under the pillow under I don’t think you’d get the smell. Does it work for baby’s for peaceful sleep. It’s not silly – I’d place it close to the head so next to the sleeping pillow. I imagine it could work for babies too but you’d want it kept where they couldn’t put it in their mouth and so the scent might not actually reach.